Have fun and feel great by spending the day stretching, breathing, and doing yoga and meditation with Aba Bailey RYT 500, Karen M. Thomson RYT 200, and Dede Yow RYT 500. Register by May 15th and save $15 by using the coupon code EARLYYOGA. Register now — space is limited. Jump to the registration form below. 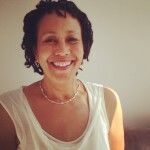 Aba Bailey has been a licensed massage therapist for over 30 years. Although she practices several forms of bodywork, Thai massage is her specialty. Aba traveled to Thailand in 2005 to further her studies in this type of body work so that she could share her love of yoga with her massage clients. 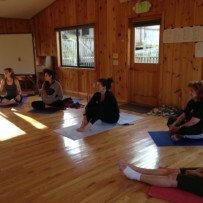 Aba has completed both the 200 and 500 hour yoga teacher trainings. She has been teaching for 10 years. She also completed yin yoga teacher training with Bernie Clark in Vancouver, B.C. in 2013. Although Aba teaches Hot Yoga, she loves the yin style because it is accessible to all. In addition to studying yin yoga with Bernie Clark ,she has also studied yin yoga with Paul Grilley and Sarah Powers.. Her style of teaching is characterized by learning how to utilize yoga as a tool for self-care. A teacher of yoga for 41 years, Karen Moore Thomson has taught yoga to hundreds of students beginning at Georgia State University, then for decades through Kennesaw State University’s Program of Continuing Education, and most recently in her studio The Buckhead Yoga Room. She holds certification as an RYT 200, certification as an Advanced Yoga Instructor from the Asheville Yoga Center, and certification in Yoga of the Heart from the Sevananda Yoga Center in the Bahamas. 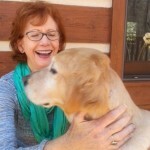 Dede taught English for over 30 years, retiring from Kennesaw State University in 2009. After 30 years of practicing yoga and experiencing first hand the healing benefits, she was inspired to share her knowledge. She earned a 40 hour yoga teaching certification from Karen Thomson’s Buckhead Center for Healing and Spiritual Awareness in 2010, a 200 hour teaching certification from Asheville Yoga Center in 2012, and a 500 hour teaching certification from Etowah Valley Yoga in 2013. 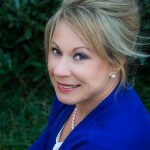 In 2014 she completed requirements for certification in Professional Yoga Therapy with Sue Hopkins at Etowah Valley Yoga. She is a registered teacher with Yoga Alliance.